After being used as a dumping site for radioactive waste for decades, Lake Karachay, located in the southern Ural mountains in western Russia, has become one of the most polluted spot in the world. Spending just five minutes near the lake is enough to receive a deadly radioactive dosis, while spending an hour there will probably kill you within the next few hours. In 1968, during drought conditions, the wind carried radioactive dust away from the lake’s dried area, irradiating half a million people. The radiation was comparable to the effect of the atomic bomb dropped on Hiroshima. Another 7,000 people who lived in the area were relocated. 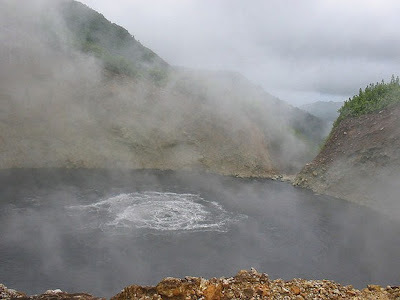 Boiling lake in Dominica is actually a flooded fumarole (a crack through which gases from molten lava escape), filled with superheated bubbling water that is enveloped in a cloud of vapor. Since the lake is the second largest hot spring on Earth with the water temperature of 82-91.5 Celsius (180-197 Fahrenheit) measured just at the edges, not only it would be uncomfortable to swim in, it would kill you if you even got near it. 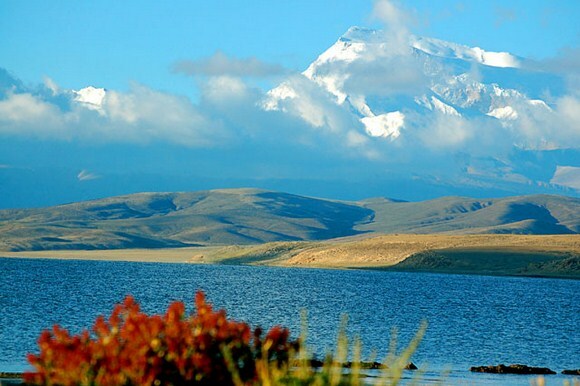 So far, scientists haven’t measured the temperature in the center of the lake where the water actually boils. 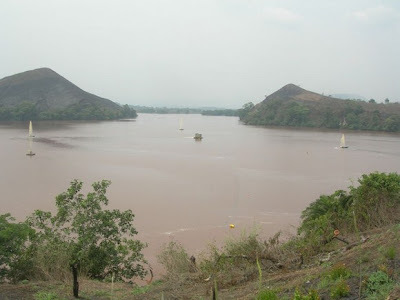 Lake Monoun, that lies in the Oku Volcanic Field in Cameroon, is the first of only three known cases of lake overturn. In 1984, the lake exploded in a limnic eruption and released a cloud of deadly carbon dioxide gas that killed 37 people. A truck carrying twelve people was in the path of the gas and when the engine suddenly stopped working, the people got out of the truck to see what was wrong and were all killed. The only survivers in this accident were two persons riding on the top of the truck as they were above the gas and could still breathe. Two years later a similar event occurred at Lake Nyos, about 100 km away. 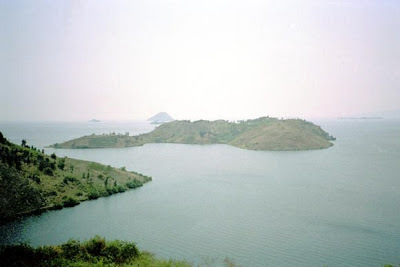 Situated on the borderline of Rwanda and the Democratic Republic of the Congo, Lake Kivu is one of the three known exploding lakes and is at serious risk of violent lake overturns. The lake is considered deadly because there are enormous quantities of dangerous gases dissolved in layers beneath its surface – carbon dioxide (which has bubbled up from the volcanic rock), and methane (about 55 billion cubic metres of it) produced by bacteria on the lake bed. If the volcanic activity triggered a methane explosion or release of suffocating carbon dioxide, this could cause a disaster of monstrous proportions, since approximately two million people live in the Lake Kivu’s basin. Mount Rainier’s crater lake, the highest crater lake in North America, lies beneath the ice in the west summit crater and it can only be reached by following a network of ice caves in the craters. The water in the crater lake creates sulfuric acid (sulfur dioxide combined with the water) that is eating into the volcanic rock of Mount Rainier. Most volcanic rocks you find anywhere else in the world are strong, but in parts of this mountain it can easily crumble in your hand. If the rock were to collapse in any area, it would cause a slurry of mud, rock and ice, or so called “lahars,” that can be deadly because of their energy and speed, causing catastrophic destruction in their path. 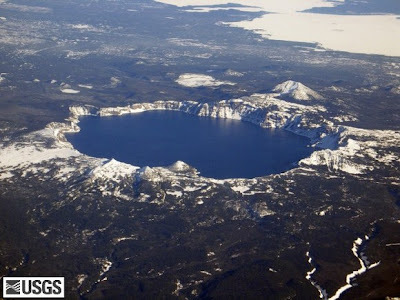 The collapse of the rock would also breach the crater lake, letting loose tons of water within it. Mount Rainier and it’s crater lake are considered a serious threat to people in Seattle, which is only 87 km away from the mountain. Mono Lake, located in Mono County, California, is an ancient saline lake that supports a unique and productive ecosystem. There are no fish in the lake – it is home to trillions of brine shrimp and alkali flies. Until the 1940′s, this stunning lake was healthy and strong, but during the period from 1941 to 1990, Los Angeles diverted excessive amounts of water from Mono Basin streams in order to provide water needs for the growing city. 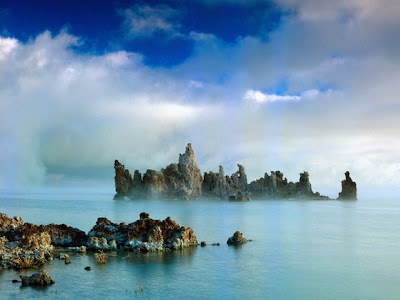 As a consequence, Mono Lake dropped, lost half its volume, doubled in salinity, and became a poisoned alkaline lake containing carbonates, chlorides and sulfates. The Mono Lake Committee formed in response, forced Los Angeles to partially restore the lake level but it is estimated that it will take about 20 years to restore the health. Horseshoe Lake, located near the City of Mammoth Lakes that is built on top of an active volcano, is considered to be a silent killer. About 20 years ago, the trees near the lake suddenly began to wither and die. At first, scientist believed the trees had some kind of disease but later they discovered the trees were getting too much carbon dioxide gas, seeping through the soil from cooling chambers of magma. Yes, trees “breathe” carbon dioxide, but high concentrations of carbon dioxide can be deadly even for them. 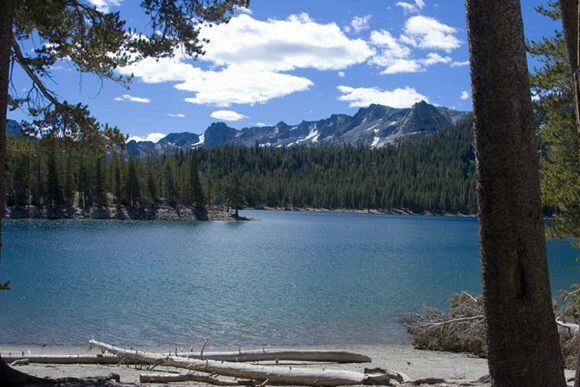 In 2006, three people were killed by carbon dioxide build up in a cave close to Horseshoe Lake where they took shelter. Researching fascinating Yellowstone Lake in Yellowstone National Park, placed in the active volcanic region, scientists have found a new way that crater lakes can kill. 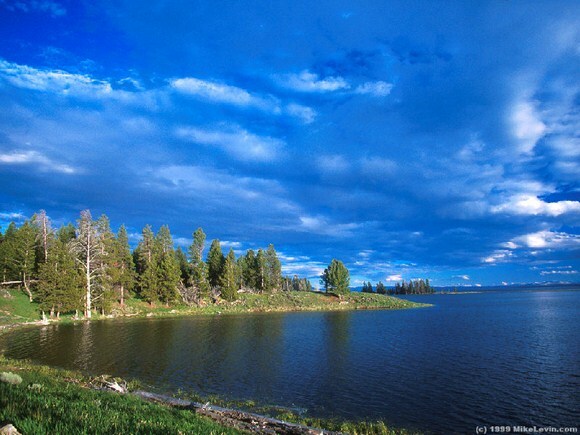 When they mapped the floor of Yellowstone Lake, they discovered a dome (said to be the size of seven football fields) on the bottom of the lake. The dome is caused by water heated under the lake bed, which when expands, builds up pressure and creates the dome. The scientists fear there is a real hazard of what is known as “hydrothermal explosions.” Those explosions occur when water that feeds the geysers of Yellowstone is explosively flashed to steam, breaking rocks and throwing them into the air. In the history of Yellowstone few large hydrothermal explosions occurred, some leaving craters thousands of meters across the lake as well as in other areas of the park. Although such an explosion last time occurred several thousand years ago, it is said that even a small earthquake could be a trigger for the similar one. As already said, there are only three exploding lakes on Earth and Lake Nyos in Cameroon is one of them. A pocket of magma that lies beneath Lake Nyos leaks carbon dioxide into the water, changing it into carbonic acid. 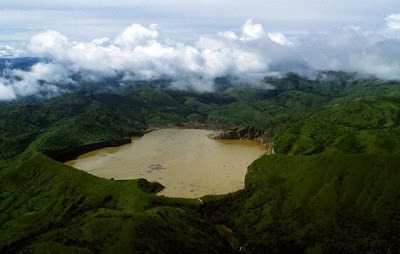 In 1986, two years after Lake Monun exploded in a limnic eruption, Lake Nyos, possibly triggered by a landslide, suddenly emitted a huge cloud of carbon dioxide, which killed thousands of people and animals in the area and nearby towns and villages. It was the first known large-scale asphyxiation caused by a natural event. 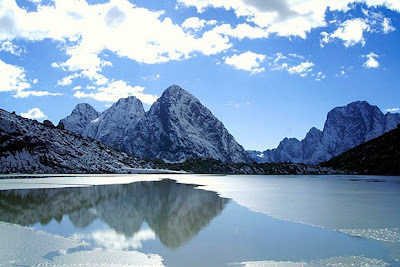 Today, the lake still poses a threat because its natural wall is weak. If a geological tremor were to cause this natural dike to give way, it would allow water to rush into downstream villages all the way into Nigeria and would allow much carbon dioxide to escape.